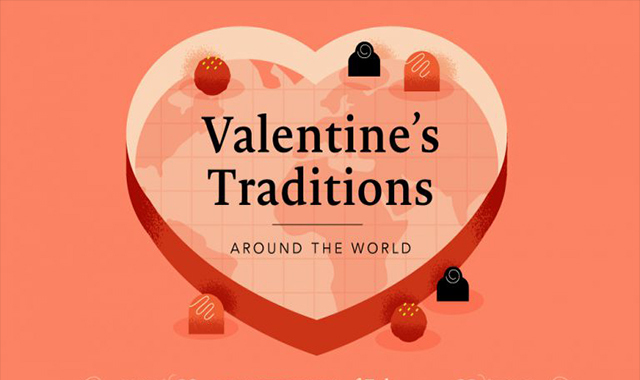 Valentine’s Traditions From Around The World #infographic ~ Visualistan '+g+"
Love is in air. From Malaysia to Denmark and beyond, love is everywhere. In honor of this lovely holiday (pun intended) we created this fantastic infographic about Valentine’s Day traditions from around the world.